The market posted strong performance not only on Thursday but also in November series after the rupee gained past 70 to the dollar, Brent crude fell sharply to $58 a barrel levels and Federal Reserve chief hinted end to aggressive rate hikes. The Nifty50 rallied more than 7 percent in November, the biggest gains in a series since March 2016 while the index rallied over a percent to close above 10,850 levels, forming the bullish candle on the daily charts. After climbing over crucial hurdle, the roads seem to be cleared the Nifty to cross the psychological 11,000 levels in coming month, experts said, adding any fall going ahead would be a buying opportunity. The Nifty50 after a strong start above 10,800 extended rally as the day progressed and hit an intraday high of 10,883.05 in last hour of trade. The index closed 129.80 points or 1.21 percent higher at 10,858.70, continuing uptrend for fourth consecutive session. “Finally Nifty50 registered a decisive breakout with a gap up opening before signing off the F&O expiry session with a strong bullish candle formation,” Mazhar Mohammad, Chief Strategist – Technical Research & Trading Advisory, Chartviewindia.in told Moneycontrol. With this breakout bulls appears to have extended their life line as all near term hurdles are cleared on the charts, he said, adding post this breakout, next ideal destination for bulls should be towards 11,069. However, owing to strong rally of Thursday accompanied with week end sentiment Nifty may undergo some profit booking in next session which should ideally be utilised to create fresh longs. Traders are advised to maintain a bullish stance as long as Nifty50 sustains above 10700 levels on closing basis and look to buy out the dips. Maximum Call open interest (OI) of 44.63 lakh contracts was seen at the 10,900 strike price, followed by the 11,000 and 11,100 strikes while maximum Put open interest of 41.51 lakh contracts was seen at the 10,700 strike price, followed by the 10,500 and 10,800 strikes. Meaningful Call writing was seen at 10,900 while Put writing was seen at the strike price of 10,800, followed by 10,700 strike. India VIX increased by 4.25 percent to 18.72 levels. 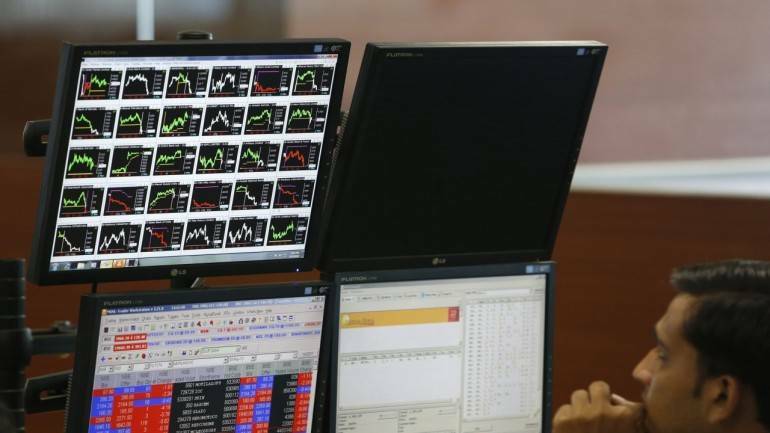 “The volumes over last 3-4 sessions are on the rise, which suggest that the move is likely to sustain in the higher territory,” Gaurav Ratnaparkhi, Senior Technical Analyst, Sharekhan by BNP Paribas said. In terms of the wave structure, the index is in wave C of the pullback & can target 11,000-11,140 going ahead, he added. The broader market indices, however, are still in the consolidation phase. The Nifty Midcap index gained half a percent, underperforming frontliners amid balanced market breadth. Ratnaparkhi said overall market sentiment will get a boost once these broader indices join the party.